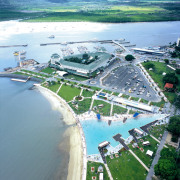 Experience and see the best of both words combining both the reef and a Green Island experience. There are a few options to select from whether you want to sail, cruise or fly! 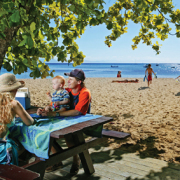 Great Adventures offers a complete reef and island combining a fast 45 minute catamaran ride to beautiful Green Island followed by an afternoon of adventure and discovery on the Great Adventures spacious activity platform moored on the majestic Outer Great Barrier Reef. 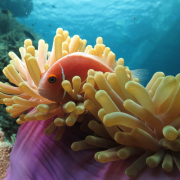 The Great Adventures Green Island & Great Barrier Reef Adventure has all the standard features of the Great Barrier Reef Adventure, with the additional inclusion of a two hour stopover to explore Green Island. 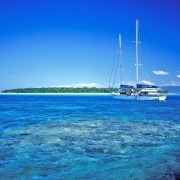 Snorkelling equipment is included at Green Island and the Great Barrier Reef. 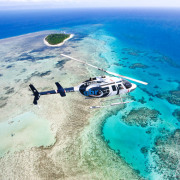 If you prefer to take in the spectacular Great Barrier Reef from above and below then there are numerous packages to choose from whether you fly to Green Island, cruise to the pontoon and cruise return to Cairns, or cruise to Green Island, cruise to the pontoon and fly back to Cairns or cruise both ways and take a scenic helicopter flight when at the reef, the choice is yours! 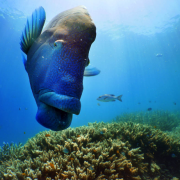 For a more intimate experience, Ocean Free sails daily to Green Island.This is the only boat operating out of Cairns to offer a personalised reef, sail and island experience all in the one tour. 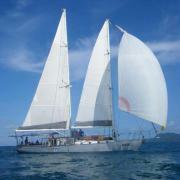 Ocean Free is a beautiful 63ft schooner. Surveyed to carry 52 passengers, guest numbers are limited to just 25, ensuring a truly personalised and unforgettable Great Barrier Reef experience, with maximum comfort and space. Ocean Free provides tender transfers to Green Island throughout the day, so you can create your day, choosing how much time you would like to spend exploring the reef and the island.